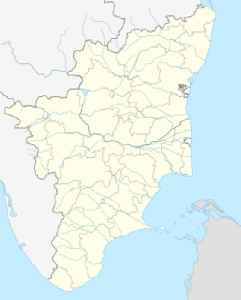 Coimbatore, also known as Kovai and Koyamuthur, is a major city in the Indian state of Tamil Nadu. It is located on the banks of the Noyyal River and surrounded by the Western Ghats. Coimbatore is the second largest city by area and population in Tamilnadu after Chennai and the 16th largest urban agglomeration in India. It is administered by the Coimbatore Municipal Corporation and is the administrative capital of Coimbatore district.